Kushmi forest is a dense forest-covered with Sal trees. 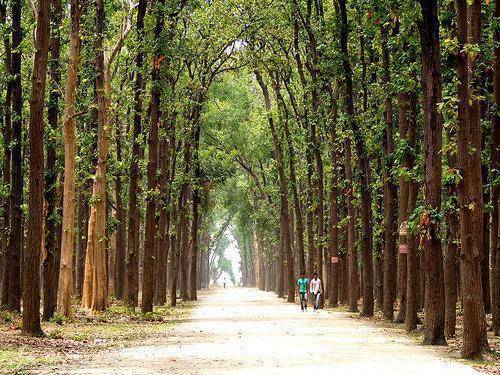 The forest is situated at a distance of nine Kms from Gorakhpur Railway station and is just beside the Air force Station There is a religious-picnic spot named Budhia Mai in the thick green forest. It is believed that this temple is a wish-fulfillment site. The other attractions within the forest are The Vinod Van Park and a zoo. The Kushmi Forests are under the care of the forest department and for the convenience of the tourist. They have started a guesthouse just close to the park. Kusumhi Forest is a place for outing and recreation for local people. Spending time in the environs of nature is soothing to the mind and body and rejuvenating.